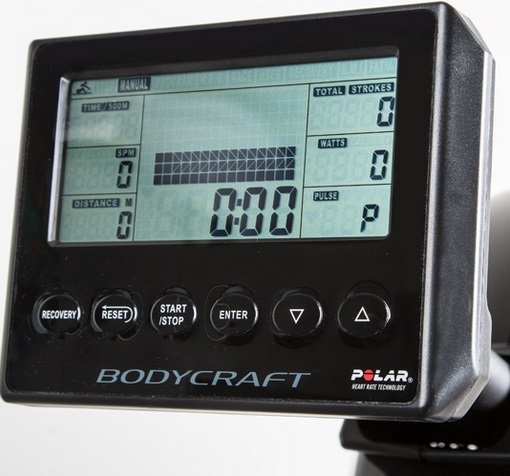 The BodyCraft VR400 Pro is one below the top model from this interesting brand. But it's sleek looks and impressive build-quality come at a price - and we're divided whether its positive points outscore the negative. 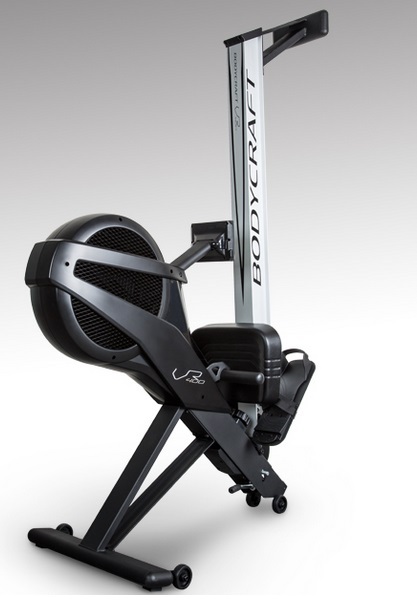 It is definitely a quality machine with some great features and the majority of rowers would be happy to have one in their home. The rowing position is good. The seat height at 18" has the feel of a commercial machine - the higher the better in our view, but we were a little disappointed with the seat. Yes, it's reasonably comfortable, but it looks like seats you can find on budget machines - we were expecting something a little more befitting the price tag. The long aluminium beam will suit the taller user with its seat travel of 38". It's also 3" thick which makes for a solid feel and smooth glide. 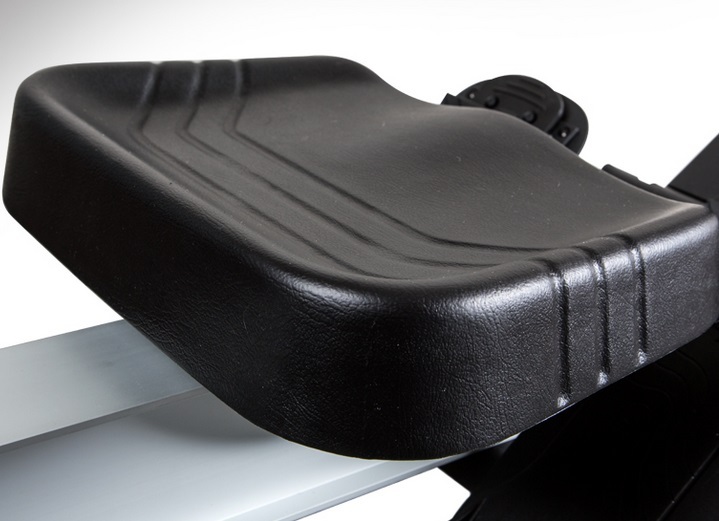 The footrests are great - over-sized for all feet, and the sturdy straps hold them securely in place. It can be a real pain if your feet slip when working out, but it's something you don't need to worry about with this model. 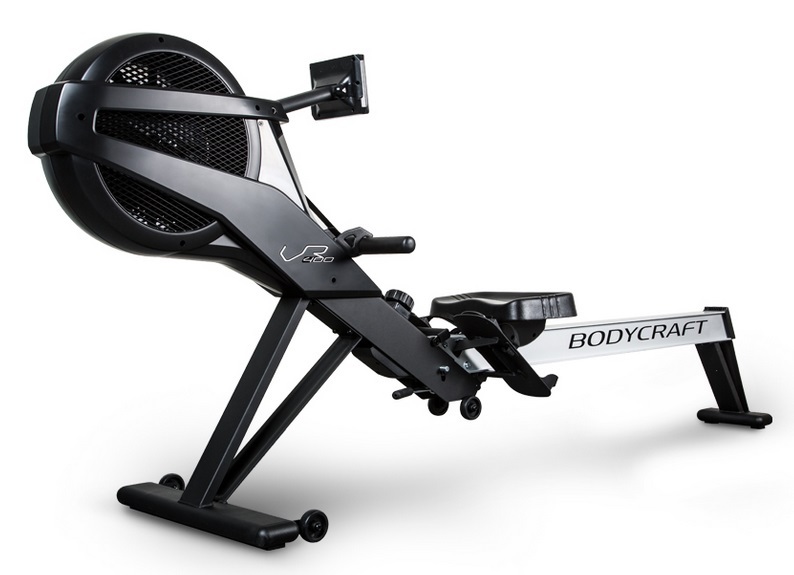 The adjustable arm to move the display is solid and doesn't shake of move when you're rowing at full tilt! 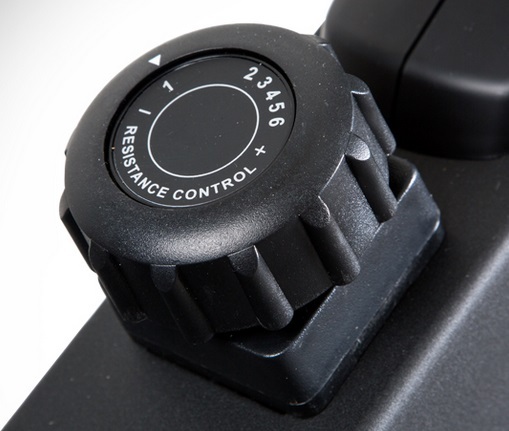 What prevents the VR400 from becoming a winner in its price range, is the manual resistance level control. The six levels are good for a varied workout, but the knob (see right) really looks out of place on a model costing well over a thousand dollars. For some it won't make much difference, but if you're looking for a machine with heart rate programs that adjust to keep you in the fat-burning zone, this isn't for you - see other recommendations in the 'Also worth a look' section below. But at least the resistance level is connected to the computer to give accurate calorie readings. The resistance mechanism combines air and magnets meaning it's not quite as noisy as some of the air only rowing machines on the market. When you increase the resistance level, the magnets move closer to the flywheel making it harder to shift. Once you've finished your workout, the VR400 is very easy and quick to fold. The transport wheels make it light to move, but just be wary of the large footprint even when folded - it's still almost 44 inches long! We really like the large LCD screen - see right. All the relevant data is clearly laid out and can be read in a flash during your workout. The VR400 comes with a limited number of pre-set programs include the motivational race boat, goal programs for distance, time and pulse rate. Although note, the resistance levels cannot be automatically adjusted as with a full magnetic rower. 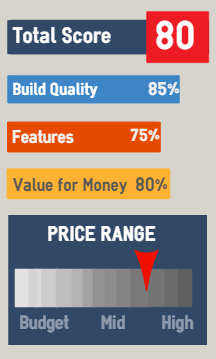 Your pulse is measured by the built-in sensor, but a chest strap that transmits the data isn't included in the price. The monitor runs on two AA batteries and doesn't require mains. It also has a useful auto power-off if the machine hasn't been used for 4 minutes - a useful feature in our view. Long beam will suit user up to 6' 6"
For a little extra, the VR500 from BodyCraft is a much better buy in our view. An obvious alternative with more features including heart rate programs and comparable quality (while costing a few hundred less) is LifeCore's R100. Similar could be said for the Coach E from Kettler. And of course, you can't ignore the ever-green, ever-popular Concept2 E. Or if you're over 6' 2", the BH Fitness LK580 is around the same price with a few additional whistles and bells.